PS3 2.53 update set to debut? Is full Flash support finally on its way? 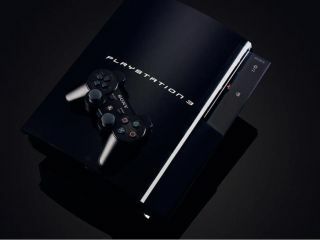 Is the PS3 2.53 update on its way? We at TechRadar hear things all the time from the Underground... and not just the train that rumbles under our desks and shakes our tea onto the floor. For instance, we totally knew John McCain was going to lose the election, and we knew the lottery numbers for last Saturday. But we can never share our powers... but today we're making an exception in the shape of the PS3 firmware3 update 2.53. We would obviously never tell you that it has Flash support... basically a better streaming experience when viewing things in full screen, so the PS3 can become even more of a media hub. But we bet a release that's coming so soon after the last one has something to do with LittleBigPlanet and making sure the flagship game runs smoothly on the console... we can't confirm it because it might change the world as we know it... butterfly effect and all that. We're also hearing word that there will be even MORE power saving options than before, thus helping the unit is greener than ever before (environmentally, not physically)... we can't tell you any more, the Underground-Thwarting Police are on their way up the stairs right now... RUN! *TechRadar jumps out the fire escape, performs a perfect triple flip and lands gracefully in a rubbish bin*.